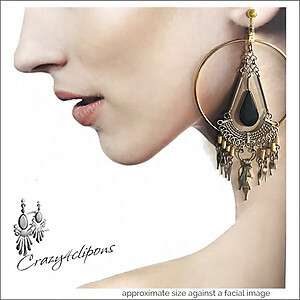 Features: Join the high style of big and bold pizzazz for your ears. 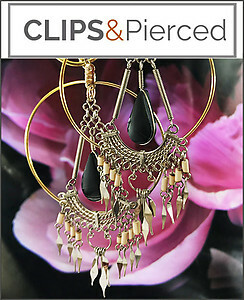 Available as pierced and clips, ethnic dangling combine onyx, bamboo and German silver findings are lovenly embraced by a large gold plated hoop. 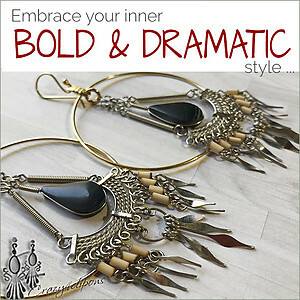 Trendy and chic!